Lawrence Heritage State Park - Lawrence, MA - Take a day trip! Lawrence, Massachusetts is home to one of the world’s largest planned industrial cities and was a powerful center of American manufacturing during the late 19th and early 20th centuries. It is also one of the best preserved examples of mill and turn-of-the-20th century industrial architecture still standing after the destruction of World War 2. 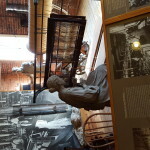 The park visitor center is housed in a restored boarding house that mill workers lived in during the 19th century and is not a museum that tells the story of Lawrence from it’s founding and growth through to the Bread and Roses strike in 1912 and subsequent decline as all of the mills and industry closed and moved away. It also tells the stories of the immigrant groups from all over the world that were drawn to Lawrence, how they lived and their impact on the community. There are also several walking routes throughout the city and a movie about the Bread and Roses strike of 1912. There is also a gallery that hosts different exhibitions. Lawrence Heritage State Park is free and is open 7 days a week from 9 AM to 4 PM. 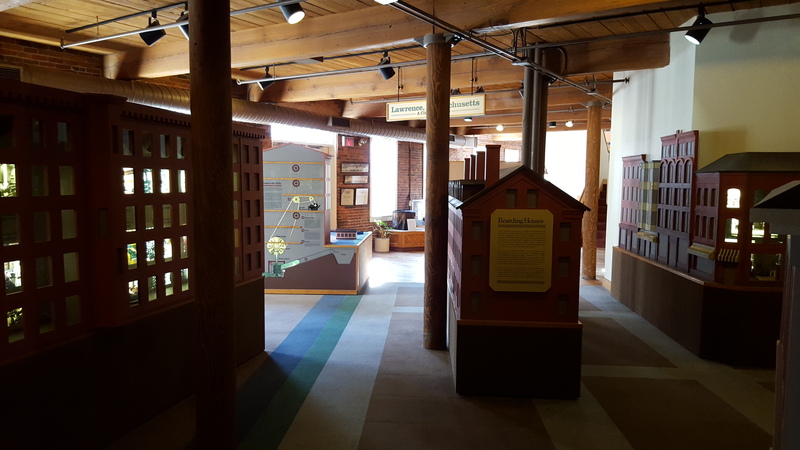 The visitor center is a great place to start, you can check out the museum portion and pick up a map with some walking routes throughout the city. Most of the mill buildings are either in use by private businesses or otherwise closed to visitors so the best way to see the city is to walk it on a day with good weather. Facilities are available in the visitor center and there are plenty of restaurants within walking distance. Parking at the visitor center itself is limited to a small lot however there is a plenty of street parking available. The park is easily accessible from Interstates 495 and 93 – use the visitor center address of 1 Jackson St in Lawrence to navigate there. There is also more information available online at the Massachusetts DCR page for this park.